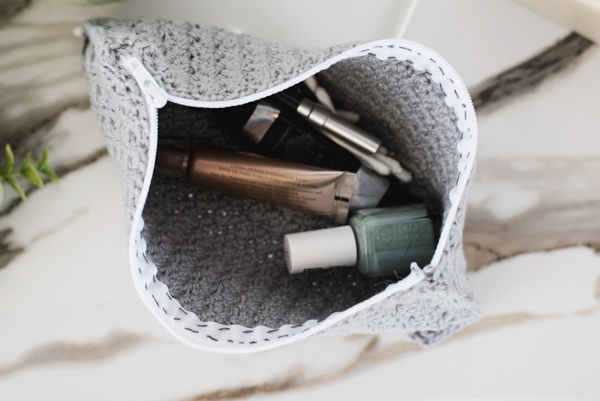 Simple stitches create a textured fabric that keeps toiletries and cosmetics stylishly contained in this one-skein project. 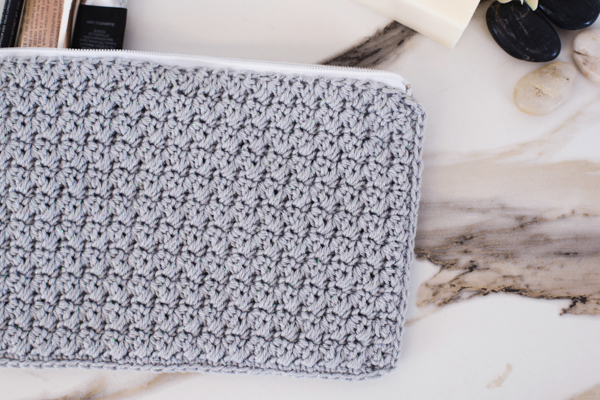 Zipper closure ensures everything stays in one spot. Project is worked flat in two pieces. The Zipper is attached and then the pieces seamed. Row 1: Dc in 3rd ch from hook, *sk next ch, (sc, dc) in next ch; rep from * to last 2 chs, sk next ch, sc in last ch, turn. Row 2: Ch 1 (counts as first sc), dc in first st, * skip next st, (sc, dc) in next st; rep from * to last 2 sts, sk next st, sc in last st, turn. Rows 3-38: Rep Row 2. With sewing needle and coordinating thread, sew one long side of each piece to one side of zipper. 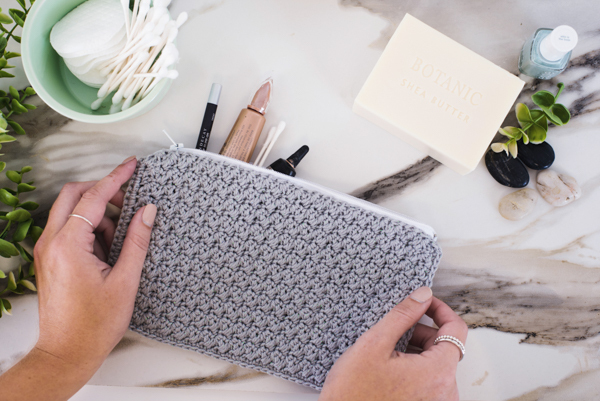 With crochet hook and yarn, beginning at the bottom corner and working along short side towards zipper, join yarn and seam using 23 sc. Repeat for other short side. 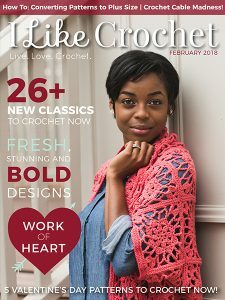 With crochet hook and yarn, beginning at the bottom corner and working along long side, join yarn and seam using 40 sc.